Hydroponics and Aquaponics – The Better System? 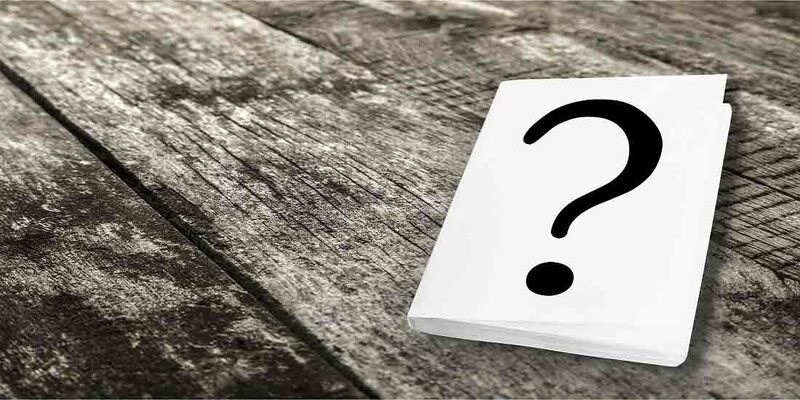 In the past, we spoke about hydroponics and aquaponics and today we will list more clearly the similarities and differences between the two. Because of the benefits of the hydroponic and aquaponic systems, people become more open to growing their fruits, vegetables, and fish in a water-based garden. Now let’s dive into what the aquaponic and the hydroponic systems mean and see what makes them so different. Hydroponics is a method of growing plants and vegetables using only water, in a soilless system. Aquaponics, beside the soilless environment for the plants, adds fish to the system. The aquaponic gardening uses hydroponics principles and technology for growing both fish and vegetables at the same time, in a balanced and synchronized system. 1. Neither types of gardening use soil and both are suitable for indoors and greenhouses. 2. You can use the same technology, growing beds, and water circulation for both hydroponics and aquaponics gardens. 3. 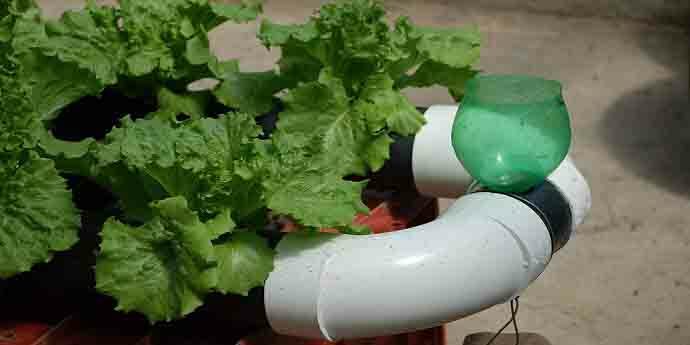 You can grow the same veggies in hydroponics as in aquaponics. 4. You can use very little space for a maximum vegetable harvest. 5. Water quality is as important in hydroponics as in aquaponics and the veggies depend on it. Similar pH adjusting practices are encountered but the substances used for this differ because of the existence of fish in aquaponics. 6. You can use organic pesticides in both systems. The weeds are nonexistent and so are the soil borne diseases. 7. Both systems are great sustainable alternatives to soil gardening. First of all, not having to deal with soil is a plus in some areas where the land is poor quality and not suitable for gardening. If using alternative energy sources, both systems save energy. There is no chemical waste and thus, the environment, water, and land are protected. Last but not least, less water is used than in conventional gardening leading to less water consumption. 1. You can’t use fertilizer or other chemical based pesticides in aquaponics because that would harm the fish. 2. The main feeding source in aquaponics is fish waste, which provides great nutrition for the plants, and since it’s 100% organic, the crops are richer in nutrients. In hydroponics, you use fertilizer as the main feeding source. It is ideal that the fertilizer used in hydroponics is organic. 3. Aquaponics provides better health for the plants and certain root diseases are avoided while in the hydroponic system there can be issues with root rotting fungus infestation. 4. In hydroponics your plants depend on you fertilizing them, while in aquaponics the garden depends on the fish waste. If the fish die, your garden will starve. 5. 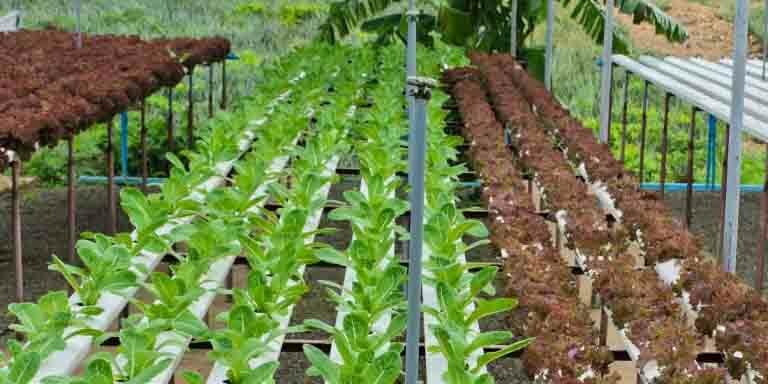 When growing hydroponically you will need to buy nutrient solutions, increasing the costs of this type of gardening, while in aquaponics you save on buying the fertilizers because the nutrients come from the fish waste. 6. The hydroponic system requires a sterile environment while in an aquaponic system it is desired to have bacteria that thrives and is put to good use. 7. In a hydroponic system you can just add the plants and start growing your crops, but in an aquaponic system you would have to wait for a couple of cycles until you have enough bacteria and nutrients in the water to grow your crops optimally. 1. In hydroponics gardens, crops are easy to harvest and can grow all year round if necessary conditions are met. They grow fast and are richer in nutrients than vegetables from soil gardens. If organic pesticides and fertilizers are used, this system is more eco-friendly. 2. 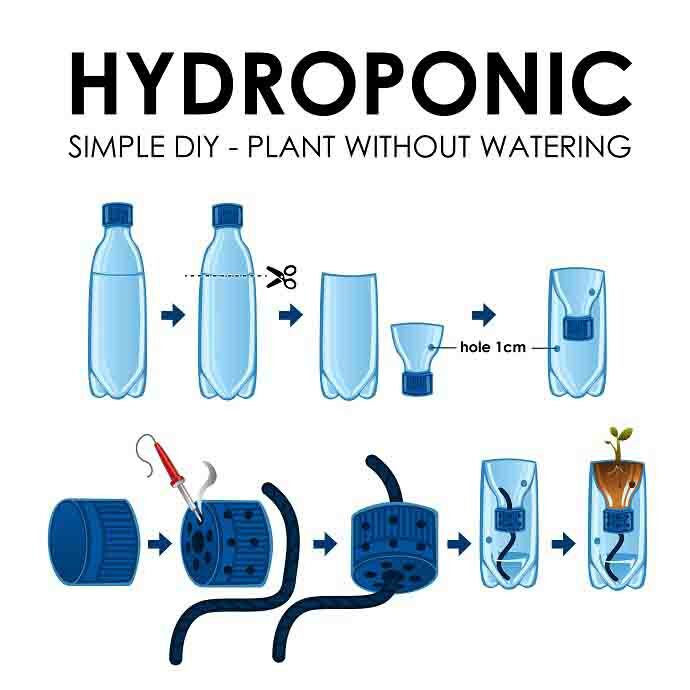 It’s as easy to be used by hobby gardeners as it is by commercial gardeners, and even if you start with a small hydroponics garden you can always grow it bigger, and even convert it into an aquaponics garden by adding in fish – if you take the necessary steps and eliminate any substances from the water that could harm the fish. 3. One downside of hydroponics is that it requires regular maintenance and supervision. The pH levels have to be checked regularly, the pipes have to be cleaned and disinfected after each harvest and you need to be careful not to introduce any bacteria in the system. Microorganisms are not welcome. The more sterile the system is, the better. 4. You will need a backup power plan in case of a power outage. And also keep an eye on the electricity bills. If you have a small hydroponics garden the electricity costs won’t be too high. Even if the costs are a bit high they would still be less than growing in conventional soil gardens. 1. Just like hydroponics, aquaponics works with less water than soil-based gardens, the plants grow faster and healthier. Besides growing vegetables you also grow and can harvest fish. 2. Starting an aquaponic garden can be expensive, but it would be better to start small in the beginning and extend the garden later when appropriate and when you feel confident. 3. Beside the fact that you need to learn about hydroponics and it’s principles, you also need to learn about fish and microbes and how to keep them happy in order to have a successful garden. Keeping your fish and microbes in good health means you will have happy plants too. 4. 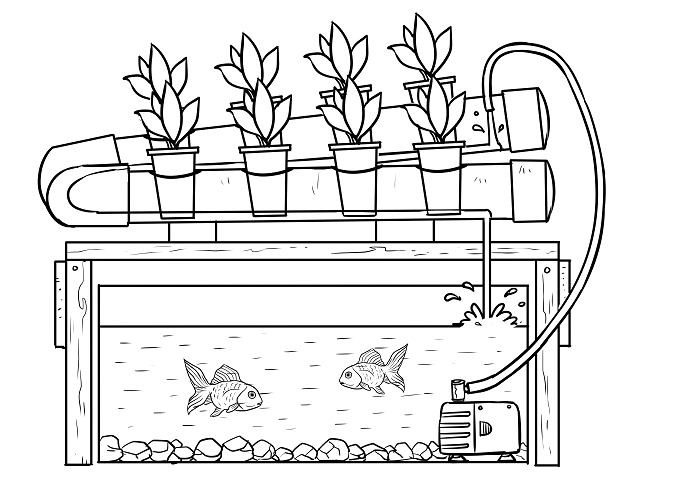 Beside being dependent on the fish, the aquaponic system is dependent on the electricity. If electricity fails there is a high chance your garden fails too. Also, the energy costs can be high but that depends on the size of the garden and if you use artificial light for the plants. Prepare for some trial and error when starting an aquaponics or hydroponics garden and don’t be discouraged if you don’t have a fully functional garden since you try the first time. Always learn and improve your skills, make each try better and you will have a great garden. Both hydroponics and aquaponics have their ups and downs, but as long as you don’t go industrial and you only produce for your family, there shouldn’t be much concern about the water or electricity consumption. Even if these two systems have their pros and cons, the outcome of fresh organic vegetables and fish is absolutely worth the effort and investment for good health and rich nutrition.